Stardrift Empires is a free browser based massive multiplayer sci-fi combat and strategy game. Research and build your fleet; explore and conquer a vast science fiction universe with hundreds of solar systems. 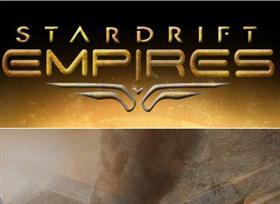 Stardrift Empires is developed by SyFy Games and Blue Frog Gaming. Related Tags: Space strategy, Stardrift Empires.